With a modern design that includes clean lines and a dark brown bi-cast vinyl or gray fabric covering, the Roland Collection will be a functional addition to your home. 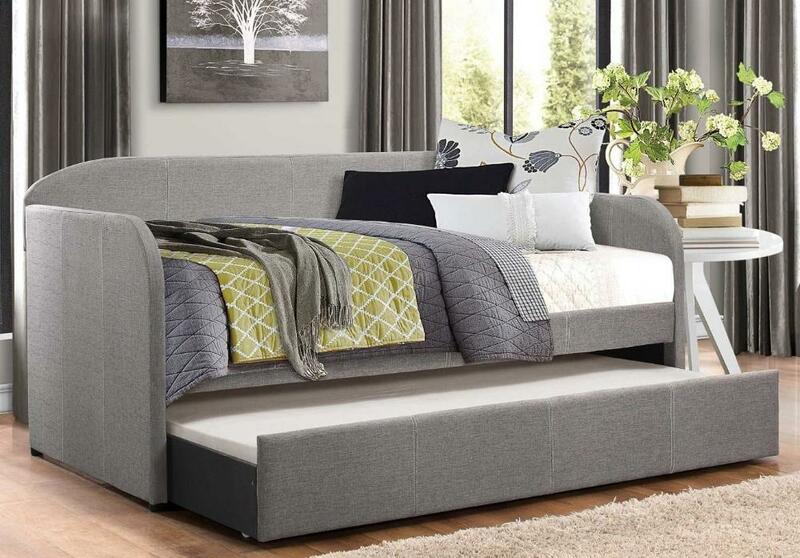 Nestled below the twin bed is the easy accessible lower trundle unit. Casters make quick work of extending this extra sleep space. 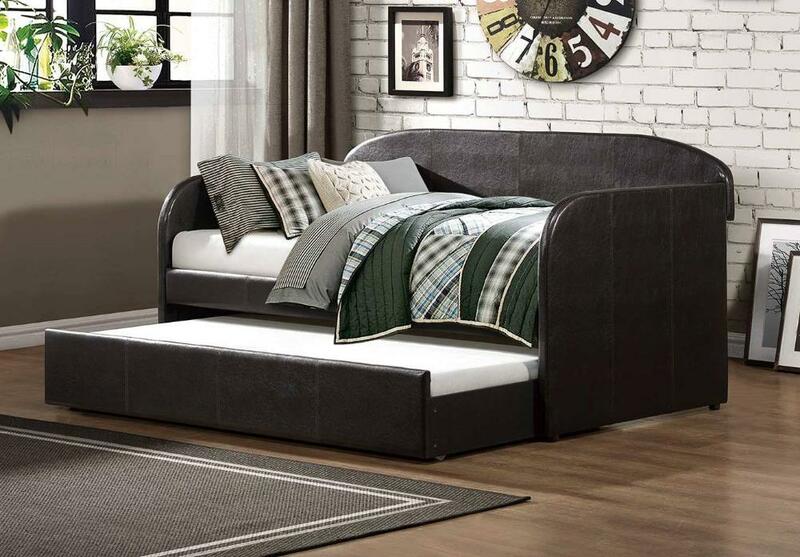 FEATURES: Dark Brown / Gray Finish ~ Contemporary Style ~ Includes Trundle Unit ~ Bi-Cast Vinyl / 100% Polyester Fabric Upholstery.